As co-founder with her husband, Lloyd, of the consumer co-op, she helped lay the groundwork for an enterprise that enabled millions to enjoy hiking and climbing. Mary Anderson, who loved the outdoors and eventually shared that love with millions through REI, the co-op that she co-founded, has died at age 107. Ms. Anderson died March 27, according to REI. She and her husband, Lloyd Anderson, founded the co-op in 1938, along with 21 mountaineering friends, spurred by their desire to find high-quality, inexpensive climbing gear. The Andersons had learned climbing techniques through a Mountaineers class taught by famous mountaineer Wolf Bauer and had become so inspired that they began teaching climbing courses themselves, said Thomas Vogl, CEO of The Mountaineers and a former senior vice president of marketing at REI. But at the time, the latest, high-quality climbing gear was hard to get in the United States, Vogl said. By forming the buying cooperative, they were able to buy outdoors gear in bulk from Europe and eventually other places. For years, the Andersons operated the co-op out of their West Seattle home. She stitched tents, while he sprayed them with waterproofing. A room off their kitchen served as their office. Born Mary Gaiser in Yakima Valley, Ms. Anderson grew up in a family that enjoyed regular walks and hikes together, REI said in 2009 when it established a legacy grant in celebration of Ms. Anderson’s 100th birthday. Dennis Madsen, a former president and CEO of REI, recalled first meeting Ms. Anderson in 1966, when he was still in high school and had gotten a job at REI’s then-Capitol Hill location. Ms. Anderson retired from REI in 1968, according to Vogl. These days, REI has become the nation’s largest consumer-owned retail co-op, with 6.3 million active members, more than 140 retail stores, an online operation and some 12,000 employees. Last year, it reached a record $2.56 billion in sales. The co-op also seeks to retain the Andersons’ ethos of serving the community, with millions given back to members in annual dividends and credit-card rebates, and millions put into employees’ retirement and incentive programs, and given to nonprofits. The Andersons “were social entrepreneurs before that term really had the meaning that it has today,” Madsen said. 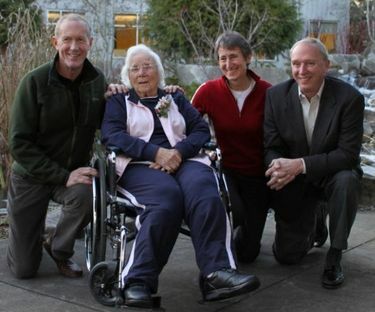 At Ms. Anderson’s 100th- birthday celebration at REI headquarters in Kent in 2009, she was as vibrant as ever, Madsen recalled. Ms. Anderson is survived by her daughter, Sue Anderson, and two grandsons. Lloyd Anderson, her husband of 68 years, died in 2000. 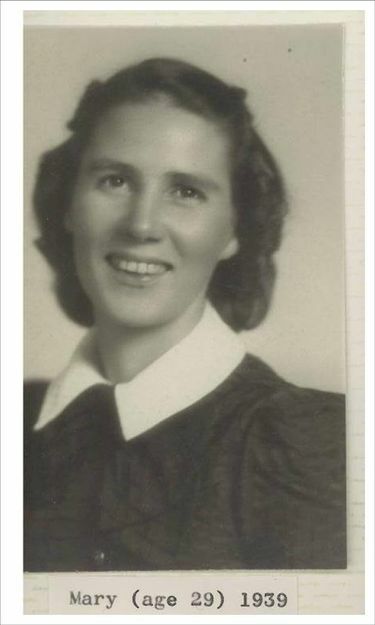 Another daughter, Ruth Anderson Roach, is deceased. Details on services were not available. Donations may be made to the REI Foundation, c/o REI Headquarters, 6750 S. 228th St., Kent, WA 98032. Any contributions made for the remainder of 2017 will be earmarked to the Mary Anderson Legacy Grant, which supports efforts to engage young people in learning about and exploring the outdoors. Information from Seattle Times archives was used in this report. Janet I. Tu: 206-464-2272 or jtu@seattletimes.com. On Twitter @janettu.